Books have been the source of knowledge, and despite the advent of digital mediums for imparting education and sharing knowledge, there is quite nothing like a book. This is one of the reasons why books continue to hold fort as a very important source of knowledge, especially in the formative years of students. And schools take great care to ensure that they stock up on the best collection of books which will be of use to the students. With so much of care going into the selection of books, it is only natural that equal attention is paid to the shelves where the books will be placed. It may be difficult for a school to have a very large collection of books inside every classroom. And with limited time during which the books have to be distributed and collected back, it may become difficult for instructors or volunteers to pick the most relevant books for the session. This therefore mandates the need for having a mobile bookshelf for classroom use. With this option it is possible to wheel in a mobile rack with the selected books on it which can then be distributed to the students and then collected back. Alternatively, the students can be given the option to choose books, use them and return them at the end of the session. For such portable options, schools need to choose high quality bookshelves. With the need for greater mobility, the caster wheels need to be of superior quality and finish for a smooth maneuvering into and outside classrooms. The racks need to be sturdy enough to support the weight of books, with different sized compartments permitting the storage of different sized books. The finish of the storage options need to be superior and classy, which will make it appealing to the students. The colors need to be lively and offer a contrast to the books, which will give them a good experience selecting and returning the books back to their original location. The racks need to afford ease of access for students who may not be very tall. Different levels of racks will be required to store more books in one unit and all the racks need to be of a design and height which permits students to easily access the racks and the books inside the racks. In schools, furniture need to be of materials and finish which facilitate easy maintenance. Despite the presence of dedicated resources for cleaning and maintaining furniture or the premises, the sheer size of schools and the number of furniture and objects may make it difficult for a team to very frequently clean and maintain the objects. With the right kind of material and finish, it is possible to ensure that the time taken for maintenance is limited. Book storage units, therefore need to be of a design, material and in a finish that facilitates easier maintenance for longer life without losing its sheen or visual appeal. 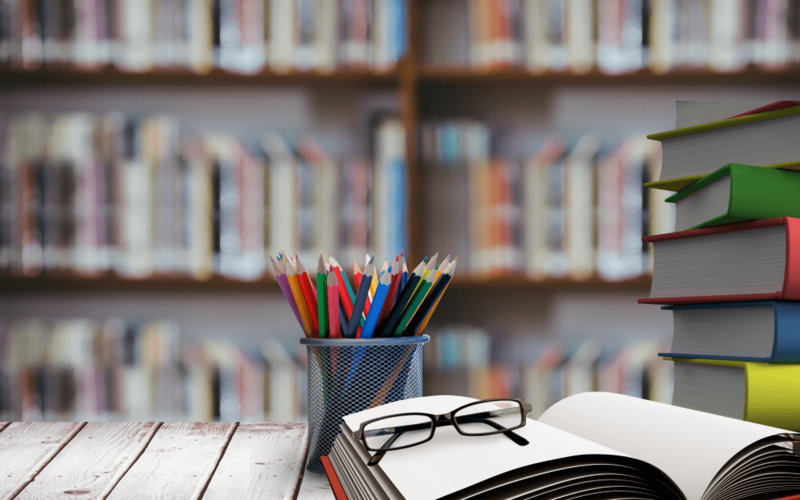 Ideally the choice of bookshelves for classrooms need to factor the requirement for different sizes of books. Depending on the classroom into which the bookshelf is to be wheeled, the size of the books will differ. For instance, if it is a classroom for junior students, books will be pictorial, with bigger dimensions and thinner volumes. If the classroom is of seniors, the books will be thicker volumes with smaller dimensions. Therefore, bookshelves for classrooms typically need to have flexible shelves to permit display of books of various sizes. At the same time, some books may be standard in size, necessitating a combination of fixed and flexible shelves. This way, it would save a lot of time in arranging books that are uniform in size and books that are of varying sizes. The shelves need to be strong enough to hold the individual and the collective weight of the books. Depending on the quality of the papers and the thickness of the books, there can be considerable weight on the bottom of the shelves and the shelves while being flexible need to be strong enough to handle the weight. Furniture that is dull or drab are never suitable in any settings. And in schools and classrooms, there is an increased need to improve the esthetics of furniture, due to the need for capturing the attention of children. The information in the books are of the greatest value, and books come in adorable designs and prints, but a poor display can ruin the potent combination of information and cover designs. This makes it necessary to have a stunning design which can combine with the cover designs of books to impart knowledge to students in schools. Pick a bookshelf that is robust, exemplary in design with flexible shelf space.